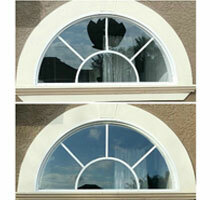 When you need glass repaired, replaced or installed in your home, call the residential glass specialists at Glass Maxx. Our team of professional installers can tackle any size job from simple replacements to installations for new construction and home renovations. We can work with you directly or alongside your project manager to ensure your new glass is ready to install on time and on budget. Call Glass Maxx at 813-777-7594 for all your residential glass needs! Glass Maxx is Tampa Bay's source for glass tabletops and glass desktops. Whether you need an exact replacement for a broken tabletop or a custom fabricated upgrade, Glass Maxx is here to help. Our glass fabrication division can fabricate nearly anything in glass to guarantee your glass tabletop or desktop replacement is exactly as requested. Glass Maxx offers a wide variety of possible styles, colors and configurations for your custom glass tabletop or desktops as well! Choose from a number of glass textures and patterns and even create a custom shape for that extra personal touch. We also offer glass etching to take your new glass tabletop or desktop to the next level. Glass shelves add elegance to any space but when one shelf breaks, it can be tough to find an exact replacement. 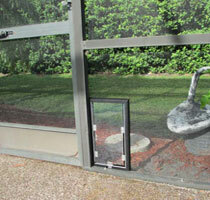 Thanks to Glass Maxx, an exact match for your glass shelf replacement is waiting in our inventory! We stock a huge variety of glass in every thickness and color you can imagine to guarantee we can provide an exact match for your glass shelving unit whenever you need it. 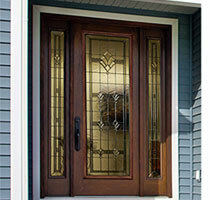 Etched & carved glass gives your home or business a unique, one-of-a-kind feel. We have exclusive access to a premier etched and carved glass distributor by our working relationship with Builders Hardware Inc. For more information and to see what they have to offer visit their website, found here.